PMR's published market report titled "Synthetic Tartaric Acid Market: Global Industry Analysis 2013-2018 and Forecast 2019-2027" examines the synthetic tartaric acid market and provides insights pertaining to the market. According to PMR analysis, the global demand for synthetic tartaric acid is estimated to be valued at US$ 531.4 Mn by the end of 2018 and is estimated to register 4.8% CAGR over the period of 2019-2027. This report provides an assessment of overall synthetic tartaric acid market and its split on the basis of different product types and applications. Over the recent past, a significant rise in consumption of wines across the globe has been witnessed. In order to cater to this demand and maintain the quality of wines, demand for additives, such as pH regulators, flavor enhancers, to name of few, has been increasing. Synthetic tartaric acid is used as a pH regulator in the wine industry. Thus, due to increasing production of wines across the globe, the demand for synthetic tartaric acid is also expected to increase over the forecast period. Over the years, the bakery segment has evolved in terms of product offerings, which has triggered the demand for various food specialty ingredients. Synthetic tartaric acid is used as an emulsifier in the bakery segment, specifically to maintain product quality and extend shelf life. Thus, any growth in bakery industry will directly impact the synthetic tartaric acid market during the forecast period. Moreover, in drug formulations, increasing demand for synthetic tartaric acid, as an excipient, for the preparation of effervescent tablets, powder and granulates will be a prominent factor driving the growth of the synthetic tartaric acid market. Furthermore, efforts are being taken by governments and regulatory agencies in developed nations to streamline the approval process for excipients, which will further push the growth of synthetic tartaric acid market. Also, growing use of chemical admixtures globally will fuel the demand for synthetic tartaric acid as a retardant over the forecast period. However, increasing demand for and consumption of bio-based and eco-friendly alternatives in Europe and North America will hamper the growth of synthetic tartaric acid market during the forecast period. The global synthetic tartaric acid market is estimated to witness healthy growth owing to rising demand from food & beverage, wine, pharmaceuticals and construction industries. Among product types, L (+) synthetic tartaric acid is gaining traction due to its distinctive characteristic properties, as an excipient and emulsifier. Moreover, the low cost of L(+) synthetic tartaric acid gives it competitive edge over D (-) synthetic tartaric acid. On the basis of application, wine production, followed by pharmaceutical segment, is anticipated to grow at a significant CAGRs of 4.7% and 5.1%, respectively, over the forecast period. The China synthetic tartaric acid market is anticipated to hold a dominant share, both in terms of market share and CAGR index, throughout the forecast period. The synthetic tartaric acid market in India is a fragmented market with a number of small players operating in the market. Significant growth in pharmaceutical and wine industries in the region will drive the demand for synthetic tartaric acid as an excipient for drug manufacturing and as a pH regulator in wine production. India synthetic tartaric acid market is projected to be a high value-volume market over the forecast period. 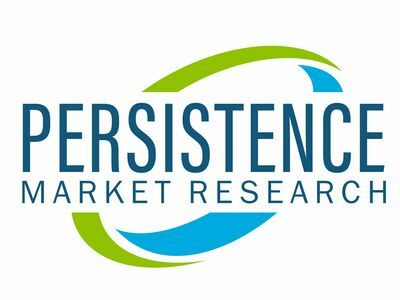 Western Europe and North America are considered to be relatively mature markets for synthetic tartaric acid and thus, are projected to register moderate growth rate during the forecast period. Latin America and GCC countries are also projected to remain lucrative over the forecast period. Some of the players reported in this study on the global synthetic tartaric acid market are Ninghai Organic Chemical factory, Yantai Taroke Bio-engineering Co.Ltd. Australia Tartaric Product Pty Ltd., Industria Chimica Valenzana ICV Spa, PAHI SL, Hangzhou Regin Bio-Tech Co.Ltd, Hangzhou Linan Jinlog Chemicals Co.Ltd, Hangzhou Ruijing Biotechnology Co.Ltd, Changmao Biochemcials Engineering Co.Ltd and Derivados Vinicos SA, among others.